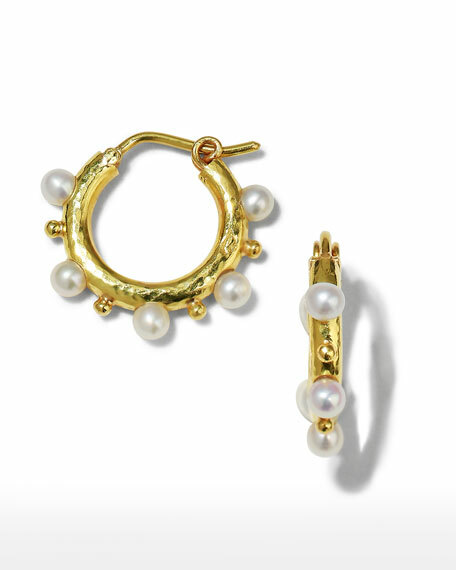 Big Baby pearl hoop earrings by Elizabeth Locke. Signature 19-karat hand-hammered yellow gold. Hinged posts for pierced ears.